Multilinguality gained a new impetus in North India with the influx of West Asian Muslim communities around the thirteenth century. Over a period of time, it entered everyday life as well as creative and scholarly pursuits. The fifteenth century, in particular, saw unprecedented vitality for literary practice and the poet-scholar Vidyapati from Mithila was one of the many luminaries of the time. This volume encompasses an intimate linguistic, literary and historical study of three of Vidyapati’s major works: a Sanskrit treatise on writing (Likhanavali); a celebratory biography in Apabhramsa (Kirttilata) and a collection of mythohistorical tales in Sanskrit (Purusapariksa). Through this examination, the author reveals a world that is marked by a range of ideas, expertise, literary tropes, ethical regimes and historical consciousness, drawn eclectically from sources that belong to ‘diverse’ politico-cultural traditions. 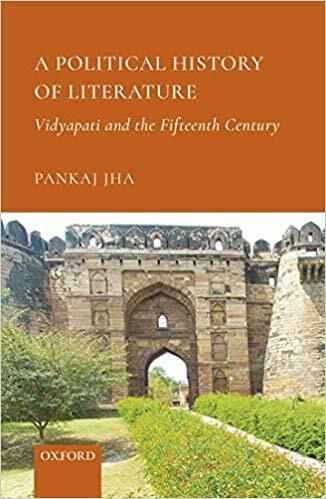 Using Vidyapati’s narratives, A Political History of Literature illustrates that many ideals extolled in fifteenth century literary cultures were associated with an imperial state—a state that was a century away from coming into being—and testifies that ideas incubate and get actualized in realpolitik only in the long duration.